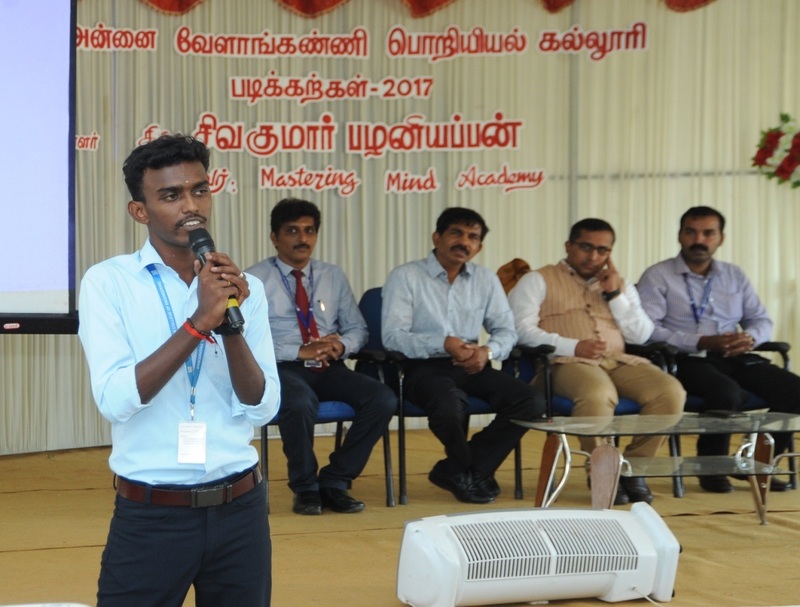 “When I entered into this college I had no idea, on how to deal with the subject as basically I am not strong or good enough in English; because I studied in Tamil medium; but the way my professors took class and the special English practice training eased the burden on me and now in my II semester I could even speak English effectively. What inspired me much is that the race car and projects designed and developed by my seniors, now I wish that I could develop one during my II Year. My teachers have helped me much in scoring good marks and motivated me to stay strong. The Placement training programmes and the placement offered through the college to core companies which my seniors have got, have always wondered me and wish that I should also earn a placement offer during my Final year course. I feel proud that I am studying in this college and feel that probably few of my friends have missed the opportunity studying here. I am very happy to be here and my decision to study here is the best decision that I took in my life.